Who knew folding your clothes the right way could bring more joy? 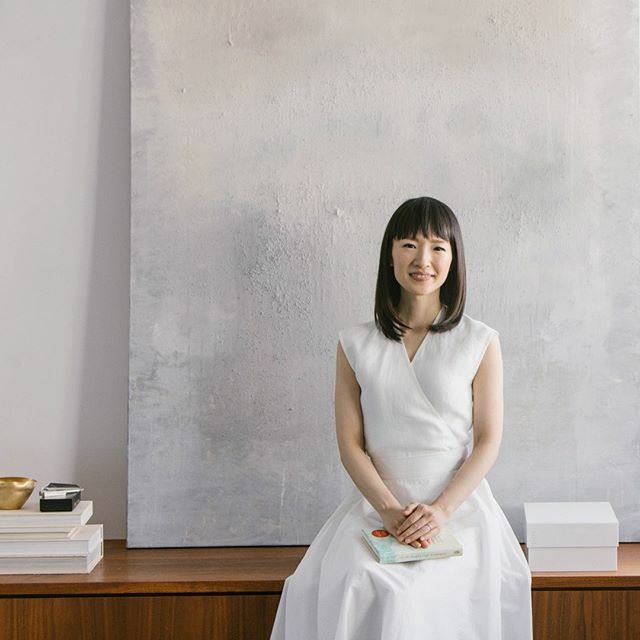 Kondo's career started off with the bestselling self-help book, "The Life-Changing Magic of Tidying Up", which has also been republished as an illustrated guide and manga. She now has her own Netflix series, spreading the "KonMari" mantra even further. 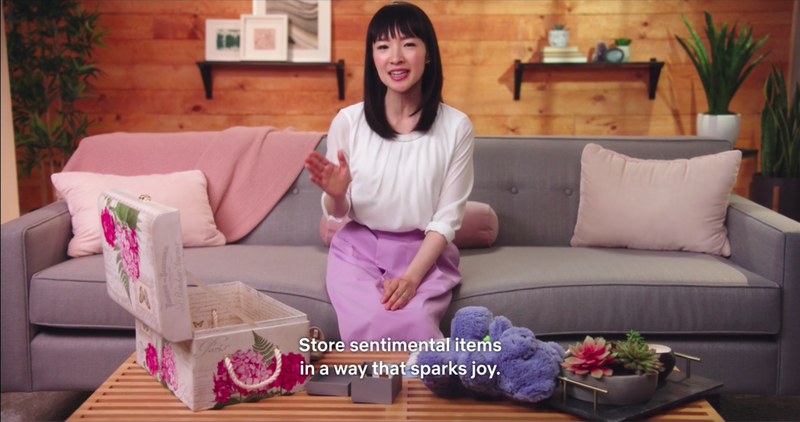 The KonMari Method is basically a tidying process carried out category-by-category with the intent of discarding items that no longer "spark joy". Kondo advises to keep the category of sentimental items for the very end, specially if it involves clearing items of a loved one. "The reason is because tidying those items is very difficult. So there is a high chance it will stall the tidying process," she said. "Only when you are actually confronted with how much exactly you have, you start to realise what you need to do," Kondo said. 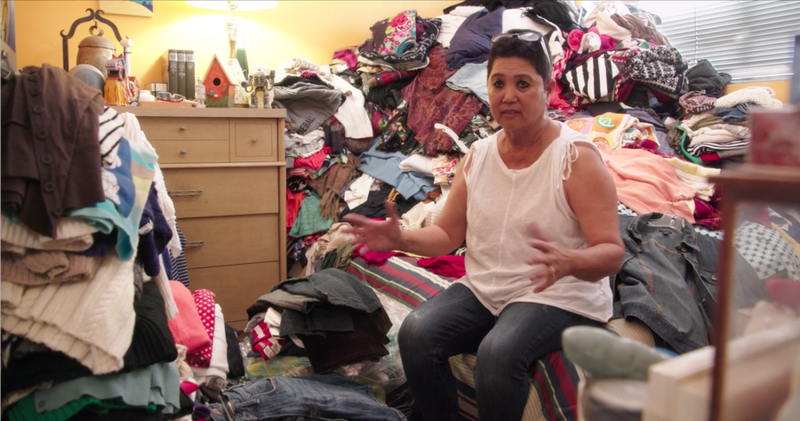 Just drag all the items belonging to the current category you're tackling, dump them out onto a wide area - such as your bed, living room, or dining table - and then begin to sort through them. This trick ie absolutely legit. Using the KonMari way of folding clothing will clear up a ton of space in your cupboard - I know because I use it! The aim is to basically fold in halves (or thirds, depending on the clothing) until you form a small rectangle. You can watch a video of the KonMari method of folding here. "The goal is to be able to see everything with one look," explained Kondo. 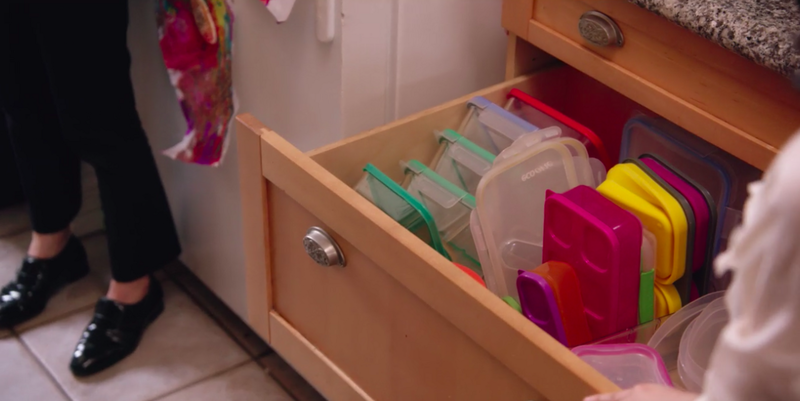 For example, instead of stacking containers together in a kitchen drawer, stand them on its sides so that you can see what containers you already own and can use. By neatly folding your clothes, you can solve almost every problem related to storage. Thank you @o_tres for sharing your #mykonmari moment. Your drawer looks so beautiful! Baskets and containers are your KonMari best friend! Never store things in bags, as it makes it look like you have trash lying around the house. Ideally, use clear storage containers so that it is always visible to you and doesn't become an "out of sight, out of mind" situation. Photos, for example, are sentimental items that are often "stored" in a way that sparks joy. Kondo advises storing photos in albums - sorted either by year or by events - and those albums can then be placed on bookshelves or coffee tables, both spots that can "spark joy" when you look at them. Tidying up can sometimes be overwhelming, so take a moment to breathe before you start. "Simply opening the windows will be effective, but there are other ways as well," Kondo said. "Create a sound that has a great vibration, light a candle, spray an aromatic room spray, or lighting some incense is also an option. By creating smoke, it'll purify the room," Kondo suggested, adding that she also does some of these things every day. "When tidying, each individual should be responsible for their own space. This lessens the tension and increases their sense of trust and bonding," advised Kondo. Places such as closets and study rooms are what you could call an "own space", so the person who owns that space should be responsible for the tidying and upkeeping of it. However, when it comes to common areas that are used by all, delegate the tidying up of that space to various members of the household. Some people say, "A cluttered desk is a sign of a cluttered mind."